Priyanka Chopra with her husband Nick Jonas recently flew down to Delhi for her brother Siddharth Chopra’s Roka ceremony. 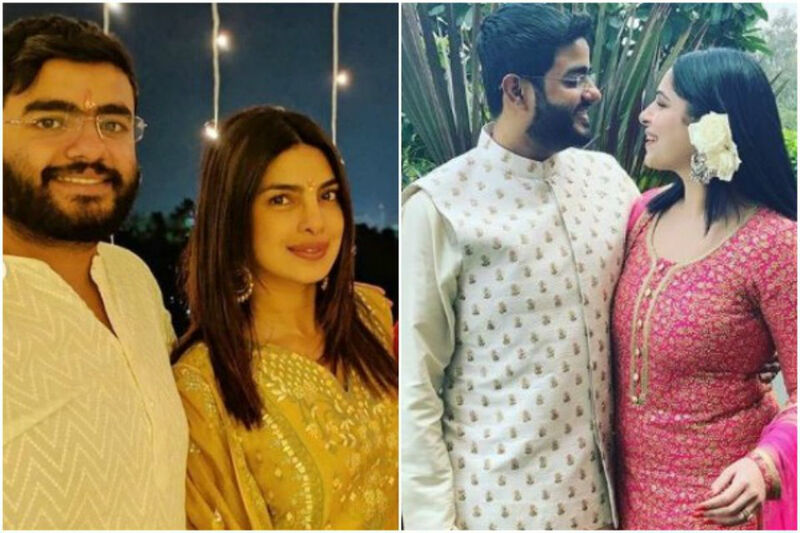 A very happy Priyanka shared some beautiful pictures from the Roka ceremony and also congratulated the couple. Quantico actress also welcomed her to-be sister-in-law to the family. In one of the pictures, Siddharth can be seen with his fiancee Ishita Kumar in puja rituals and in another photo the duo can be seen posing in a garden as a happy couple. As per the reports, the Roka ceremony took place on Wednesday in New Delhi’s Taj Palace Hotel. Priyanka and Nick got married in December and it was nothing less than a fairytale wedding. The twosome had two wedding ceremonies – Hindu and Christian – and multiple receptions were followed after that. On the work front, on Thursday, Priyanka will be doing the shooting for the last schedule of ‘The Sky Is Pink’. This film will be her return to Bollywood after a pause of almost four years. Also,‘Isn’t It Romantic’, her Hollywood film will release on Netflix on February 28.